If you’re familiar with our practice, you know that creating a comfortable environment for our patients ranks high on our list. In fact, it’s right up there with delivering impeccable results. However, we realize that some necessary procedures aren’t always a complete breeze. That’s why we are extremely pleased to tell you about one of our newest pieces of technology: the Biolase Waterlase iPlus. It’s minimally invasive, highly precise and exceptionally gentle. Essentially, it merges comfort with results. So, what is it? The Waterlase combines water, air and laser energy to energize water molecules to precisely cause a "cool" biological cutting of hard and soft tissues. This means no heat, pressure or vibration to trigger pain. Yes—a painless dental visit! Some common uses for the Waterlase include removing infection in the gums, sculpting tissue, treating cold sores and performing laser surgeries and biopsies. Rest with ease knowing that multiple visits and uncomfortable procedures are no longer the norm. As experts in dentistry, we couldn’t be more satisfied with its convenient results, either. We can’t wait for you to feel the difference. For questions on the Waterlase iPlus, give us a call at 941-923-5406. There’s no better feeling than knowing that you look as healthy on the outside as you feel on the inside. With more than 25 years of experience in reconstructive, cosmetic and laser dentistry, Dr. Koval combines skill and a keen eye for natural aesthetics to beautifully and gently enhance your smile, allowing your inner confidence to shine through. You’re invited to view our Smile Gallery at askdrkoval.com to see our extensive collection of BEFORE and AFTER photos of smiles by Dr. Christine Koval. Improving your quality of life is the best gift you can give yourself! Did you know that every time you smile, you throw a little feel-good party in your brain? Research tells us that smiling reduces stress and increases endorphins, which has long-term positive benefits for health and success. Sadly, there are people who actually hold back their smiles due to a lack of self-confidence about their appearance, which keeps them from enjoying this natural phenomenon. Dr. Christine Koval has decades of experience in restorative, cosmetic and laser dentistry. Her caring demeanor, coupled with her credentials and professional reputation, helps her patients to realize how a more beautiful and healthy smile will enhance their life. By utilizing the most current technology and her keen eye for aesthetics, Dr. Koval can help you achieve a smile that is natural, that looks more youthful ... but still looks like you. After more than 25 years in practice, Dr. Koval has helped hundreds of community members to look and feel better. A new smile can make you look and feel happier – inside and out. The teeth are a vital component to overall health. They are specifically designed to last a life time. However sometimes, they simply don't. Whether it's through years of neglect and poor oral care or through an unfortunate accident, sometimes teeth are lost or pulled. Missing teeth lead to an abundance of problems including the loss of chewing capability, poor appearance, strain on the remaining teeth, and diminished overall health. When facing the loss of a tooth, a dental implant offers numerous benefits as a viable option to replace the missing or damaged tooth. A dental implant in Sarasota, FL is a man made substitute for the root of a missing tooth. It is an artificial tooth root or anchor that is surgically inserted to hold a replacement tooth or crown. It is an ideal option for those who have lost teeth from periodontal disease, tooth decay, or accidental injury. There are numerous advantages to dental implants. They are considered especially beneficial to those who cannot wear removable dentures. First, dental implants protect the remaining teeth by reducing the load and stress caused by the missing tooth. In addition, an implant reduces the need to cut down or grind away the adjacent healthy teeth often needed to perform conventional bridgework. This has also been shown to reduce the need for follow up restorative care on the adjacent teeth. Furthermore, dental implants work to preserve the bone and reduce bone reabsorption and deterioration. When a tooth is lost, the surrounding jawbone begins to shrink and become brittle. This atrophy actually begins to change the shape of the face and causes it to look prematurely aged. Dental implants help to stop or reverse this process. The implant helps to improve the facial contours and minimize premature wrinkling. Dental implants replace loose and ill-fitting dentures with permanent improved support and stability. They enable patients to better chew their food and to speak more clearly and confidently. Are there disadvantages to dental implants? Inserting a dental implant is a surgical procedure. In addition to the increase in cost compared to conventional restorative procedures, patients will also face a period of healing before the implant can be used properly. There is also some amount of risk that follows any standard surgery procedure such as infection, bleeding, and nerve damage. The incidents of fracture to porcelain crowns is also higher on dental implants than on natural teeth. This is due to the lack of shock absorbency between the implant and the jawbone. This risk can often be reduced with proper care and caution when using the implant. Losing a tooth leaves a patient with decreased self-esteem and greater susceptibility to a number of health issues. Replacing the tooth is important, but is often a difficult decision as undergoing surgery for dental implants can be a scary and costly prospect. Dr. Koval and her team understand your concerns. To discuss your options, contact Dr. Koval today. Our friendly and knowledgeable staff will review your personal dental history and thoroughly review all recommended courses of action. Dr. Koval and her team realize that sometimes budget is a concern and patients may put off needed dental work to avoid expensive dental bills. However, this can actually lead to more extensive work and greater health problems. During every dental implant consultation, they offer a detailed treatment plan with a full breakdown of all expenses involved. In addition, they provide a number of payment and financing options including cash, credit card, Care Credit, and Springstone. Let Dr. Koval and her team help you today. Having unattractive teeth and gums can easily cause people to stop smiling and avoid social events. But they don’t have to continue to suffer thanks to cosmetic dental services. Because of several technological improvements, cosmetic dental problems are easier than ever to repair. If you feel self-conscious from unattractive teeth and gum problems, here are five popular cosmetic dental services in Sarasota, Florida that you help you start smiling, again. The cosmetic dental treatment that’s probably the one most recommended by a cosmetic dentist is teeth whitening, also called bleaching. This is done to remove stains caused from foods, coffee, tea or discoloration due to poor oral hygiene. Although some people bleach their teeth at home, it’s safer and more effective to have your teeth whitened by a dentist. This process entails a dentist creating a custom-made mouthpiece so that the right amount of bleaching solution is used. It’s also done to ensure that your teeth have the proper exposure. In most cases, a whitening treatment entails one or more treatments, which can last from 45 minutes to an hour. Tooth bonding is done for filling in gaps in teeth or for changing tooth color. This treatment is so-named because a tooth-colored resin substance is bonded to a tooth. It’s also used for closing gaps between teeth, as well covering the exterior surface of a tooth so that the tooth’s shape and color are changed. Furthermore, a tooth bonding can be performed for filling small cavities because it looks better than silver fillings.The technique is less expensive than most treatments. Each tooth takes about 30 minutes to an hour to complete, and the treatment usually takes only one visit. One of the biggest cosmetic dental trends is porcelain veneers. One reason for their popularity is that it’s a quicker way to repair gaps or teeth that have shifted than using braces. Dentists often use porcelain veneers for repairing cracks or chips in teeth or when a whitening treatment hasn’t produced the desired results. Because porcelain veneers are produced in a laboratory, the treatment entails more than a single appointment. However, they offer more color stability, besides a greater life expectancy than bonding does. When you have missing teeth, your face can collapse, which can visually age you. That’s why many people choose to have dental implants, which are fabricated tooth root replacements, used along with a prosthetic dental treatment. Dental implants are so effective that they can last for a long time. Whether you’ve lost only one tooth of several teeth, this cosmetic dental treatment can not only make you look younger, but it can also improve your health. A full mouth restoration, also known as a full mouth reconstruction, is a combination of several neuromuscular, restorative and cosmetic treatments. In addition to making your teeth look better, a full mouth restoration also improves the function and structure of teeth. One way to understand this is by considering how a fractured tooth can create issues with a bite, leading to chewing difficulties and tooth wear. Your dentist may recommend a full mouth restoration for conditions such as missing teeth, chronic jaw pain popping or jaw clicking, back pain, frequent headaches or muscle tenderness. When choosing which cosmetic dental treatment is best for you, consider the desired result that you’re trying to achieve and the condition of your teeth. Ask to see “before-and-after” photos of patients who’ve had cosmetic dental treatments done. Ask your dentist about the maintenance that’s required for keeping the results of your treatment for as long as possible. Inquire about the durability of the technique you’re considering because you want to be sure that you don't invest a lot of money on a treatment that doesn’t last long. Because dentists often use some type of anesthesia, be sure to ask your cosmetic dentist to do a test to see if you’re allergic to Novocaine. There are several reasons for dental cosmetic problems, such as genetics, poor oral hygiene, excess sugar consumption and fractured teeth. Also, drinking too much coffee, tea or red wine can cause tooth staining. Don’t hesitate to call Koval and Koval Dental Associates for any questions you may have regarding cosmetic dental treatments. With over 25 years of experience in cosmetic, restorative and laser dentistry, Dr. Christine Koval is a caring Sarasota cosmetic dentist, who is well qualified to do whatever procedure you need. Please contact us. You have always been there for others - for your life partner, for your children, for your business associates ... for anyone who has needed you. Now it's YOUR time. It's time for YOU to get the smile you've always wished for. Dr. Christine Koval has more than 25 years of experience in restorative, cosmetic and laser dentistry. Her caring demeanor, coupled with her credentials and professional reputation, helps her patients to feel more confident, and to realize how a more beautiful and healthy smile will improve their lives. By utilizing the most current technology and her keen eye for aesthetics, Dr. Koval can help you achieve a gorgeous, natural-looking smile. Dr. Koval has helped hundreds of community members to look and feel better. It's YOUR time - time to get the smile of your dreams. Call for a complimentary consultation today! When a cracked tooth makes you nervous about biting down on hard foods or a discolored tooth makes you self conscious about smiling, it's time to visit our Sarasota, Florida, office to consider inserting a porcelain crown. Just as you may apply a concealer to cover up a skin imperfection, you can cover up tooth imperfections with pieces of porcelain formed to fit your mouth, delivering the appearance of a healthy tooth. We can do this for individual teeth or multiple teeth, and we may also consider adding a bridge to fill in gaps caused by missing teeth. This process is safe and pain is minimal, but what can you really expect? Every crown procedure starts with a thorough examination. This is an important step which allows us to consider all possible solutions to your problem before determining that a crown is the best way to improve your smile. We will consider the strength of your teeth, the health of your gums, and other factors before presenting your options. If a crown is determined to be your best option, we will form your tooth so that it is the appropriate size to accommodate the crown. Depending on the condition of your teeth, this will involve either filing the tooth down to a smaller size or using filler to increase its size and achieve the best shape. We will then create a mold of the tooth and surrounding teeth so that an outside lab can customize the crown. We'll install a temporary crown before you leave the office. Your customized crown has been delivered to our office, and you're sitting in the chair eagerly awaiting your smile transformation. We start by making you comfortable and answering any questions that may linger in your mind. We may use a local anesthetic to control pain, or you may opt for general anesthesia to ensure you aren't aware of the work taking place. You may choose a different pain control option depending on the number of crowns installed and your pain tolerance, so we'll discuss all of your options with you during your initial consultation. The procedure requires our experienced cosmetic dentists to adhere the crown to the teeth, securing it so that you can eat, drink and laugh without concern of it loosening or falling out. The process may take less than an hour for a single crown or several hours for multiple crowns. Once the anesthesia wears off, you may feel some tenderness in your gums or jawline. While most people consider the pain minor and take over-the-counter medication for comfort, you may experience more pain if you require a root canal prior to placing the crown or have tooth damage close to your tooth nerves. The biggest adjustment you may experience is looking in the mirror and loving your smile. The flaws that you once focused on are gone, so you can show your teeth without wondering what others think about those imperfections. Treat your porcelain crowns just as you would your natural teeth. You can protect them from chips, cracks and breakage by being cautious when biting into hard foods. It's also important to brush your teeth with fluoride toothpaste and floss at least twice a day to ensure food isn't left between your teeth, plaque is eliminated, and your gums remain healthy. If you don't follow these basic steps to care for your teeth, your crown may loosen or fall out in the future. Are You Considering Porcelain Crowns? Now that you know what to expect from the dental crown procedure, contact us to schedule your initial consultation. We can't wait to give you the smile that you deserve. Tooth whitening is one of the most popular cosmetic dental procedures requested by patients these days. After all, who doesn't want a brighter and whiter smile? Unfortunately, there are a lot of myths floating around about teeth whitening. One cosmetic dentist in Sarasota, FL has taken the time to dispel some of these myths for us. This way, you can make a better informed decision regarding tooth whitening. There are so many store-bought tooth whitening kits and products available these days, so why would you bother going to your dentist's office to have whitening done? Well, contrary to popular belief, the kits you can buy in stores simply aren't of the same quality as the whitening solution used in a cosmetic dentist's office. Yes, they do contain many of the same ingredients, but they simply don't tend to be as effective. Furthermore, when you whiten your own teeth, you're more likely to run into problems. For example, if you're using whitening strips, allowing them to come into contact with the gums can actually burn your sensitive gum tissue. When you trust a cosmetic dentist with your tooth whitening, you can rest assured that you're in good hands. Some people shy away from the idea of whitening their teeth because they've heard in the past that tooth whitening can lead to sensitivity. In reality, the ingredients found in tooth whitening agents are completely safe on the teeth and enamel alike. In most cases, sensitivity is reported when people use store-bought whitening products and the gel or product comes into contact with the gums (as explained above). When this occurs, a stinging or burning pain is often reported throughout the teeth and gums, and future sensitivity can also occur. Again, the best way to avoid sensitivity caused by tooth whitening is simply to have the whitening done properly by an experienced cosmetic dentist. Perhaps you've been hesitant to have your teeth whitened in the past because you have dental implants or even crowns that cannot be whitened by store-bought products. While it's true that artificial materials, such as porcelain (which is commonly found in dental implants) cannot be whitened by traditional agents, your cosmetic dentist can help you in achieving the same, uniform whitened appearance on all of your teeth. This can be done through professional teeth whitening combined with the placement of a new crown or dental implants to match. Finally, understand that the effects of tooth whitening cannot last forever; this remains true regardless of the specific tooth whitening method you use. Therefore, it's in your best interest to speak with your cosmetic dentist about how long you can expect your results to last before you may need another whitening treatment. At the same time, you don't want to overdo it. 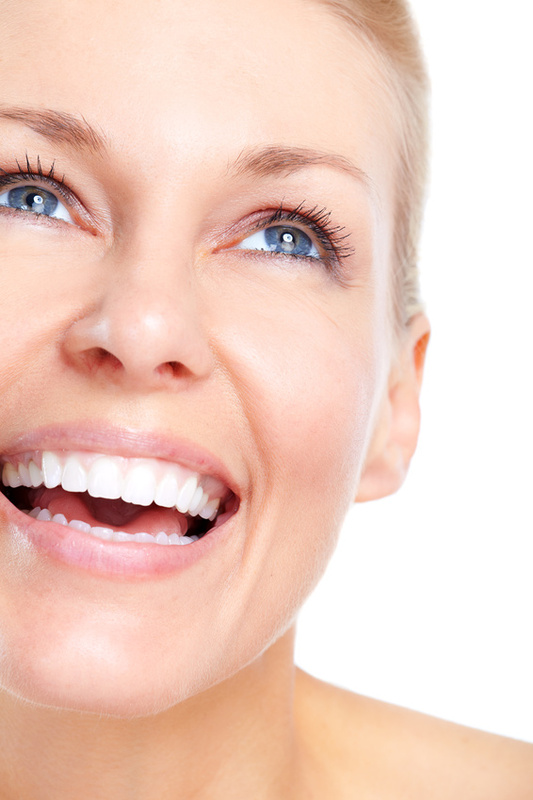 There are certainly steps you can take to prolong the life of your whitening treatment. For instance, you can cut back on foods and beverages that are known to stain the teeth (such as coffee and red wine). Furthermore, you can use a whitening toothpaste; your dentist should be able to recommend one for you. Sadly, there's a lot of misinformation out there about teeth whitening. Hopefully, you now have a better idea about the truth behind tooth whitening. For more information or to schedule a consultation for your own whitening procedure, be sure to contact us today. We'd be happy to assist you in achieving your whitest and brightest smile. We all want to look and feel healthy and youthful, no matter what our age. There are many things we diligently take care of to keep our appearance in line with our self image, including hair color and style, toned skin, and bright eyes. But the most overlooked feature is often our smile. No matter how much we improve other features, it's truly our smile and our teeth that reflect good health, a youthful appearance and impeccable grooming. For more than 25 years, Dr Koval has helped hundreds of community members look and feel their best. Call Dr. Koval for a complimentary consult to discuss your age defying options! Currently, over 3 million Americans have dental implants, and studies show that, on average, dentists fit another 500,000 patients with full or partial implants every year. It's no wonder, given that implants can ensure the 69% of Americans ages 35 to 44 missing one or more teeth have a new, full mouth of teeth with a success rate of 98%. If you believe dental implants are the best way to improve your smile, it is essential to know how to care for them -- immediately and over the long-term. Technology in dentistry is ever improving, but -- as it stands -- it is wise to follow a soft diet for the first 24 hours during tooth implant healing or, in most cases, the first 24 hours after restorative dental care. Patients should stick to soft foods that do not require chewing, like applesauce, oatmeal, grits, mashed potatoes, smoothies, and cold or lukewarm soups. Depending on the procedure (exactly how it is done, how many teeth are being replaced, etc. ), dentists may advise you eat a soft food diet for up to seven days. Keep in mind that foods that are extremely hot or extremely cold, or foods that may easily get stuck to teeth, are also not advisable. Once your dentist gives you the O.K. and deems that you are in the final stages of the tooth implant healing process, you can typically start re-introducing normal foods. Of course, always follow your dentist's advice first and foremost. One of the many benefits of dental implants is that, once they have healed, they look, feel, and function much like natural teeth. That means you'll be able to enjoy all of your favorite foods again. You should also take care of implants like you would take care of your regular teeth, brushing and flossing regularly and visiting the dentist at least biannually. More and more Americans are getting dental implants -- and with good reason. Keep dental implants in top condition with an appropriate post-surgery diet and proactive dental care thereafter. Dentistry From Home: Is It Possible? Over the next 15 years, about 200 million people will join the ranks of existing edentulous patients, meaning 200 million more people will be missing one or more adult teeth. The reason for declining dental health is fairly straightforward: given increasingly busy lifestyles, more Americans and people all over the world neglect to visit the dentist regularly, if at all. Thankfully, this is something that dental patients can easily change -- and they're not in it alone, either. Thanks to the SmileFaith Mobile Mountain Dental and Medical Bus in Letcher County, Kentucky, over 60 more Americans have a full mouth of teeth. A group of volunteer dentists took turns manning the mobile dental bus and fitting patients with dental devices for missing teeth, including crowns, bridges, and full-mouth dentures. It is a 100% free service, enabling patients who may not have transportation and/or adequate funding to count themselves among the 15 million Americans with crowns and dental bridges. Kentucky residents aren't the only ones who benefit from the complimentary dental work. "The bus travels all around southeastern Appalachia throughout the year," WYMT TV Mountain News reports. The SmileFaith Mobile Mountain Dental and Medical bus is an admirable operation to be sure, but the fact remains that it does not -- and cannot -- operate in all areas. And that's where new technology in dentistry comes in. Specifically, 3D imaging and mobile applications are changing current dental practices, making it possible (at least in some cases) to look after your dental needs from the comfort of your home. These apps and/or devices make it possible for Americans to scan their teeth or take 3D images of their teeth at home, and send the images to the dentist. Using these images, dentists can save time and prepare for office visits without taking extra time to do scans, X-rays, molds, etc. Over two-thirds of Americans 35 to 44 are missing at least one tooth -- and that number is growing. Keep all of your teeth healthy and in your mouth by carefully and completely attending to your dental health. If time is an issue, look into any mobile dentists or mobile technology that can save you time at the dentist. One of the most common dental problems, experienced by one in five Americans, is tooth-grinding, or bruxism. Now, researchers and dentists are developing smart mouthguards that may help you improve your smile. "Equipped with sensors, the mouthguard detects how much force is being applied on it by the teeth as well as which teeth are doing the grinding. The information can then be sent to a dentist via a mobile device," Popular Science writes. Determining whether you have bruxism is one of the first steps toward a healthy smile... but that's not all it can do. Of course, as a mouthguard, the devices also prevent the teeth from scraping together -- a measure that can ultimately prevent headaches, stress, poor sleep, sore jaws, and damaged teeth. In time, researchers hope to use the same technology to produced smart dentures and dental implants to alert dentists if prostheses do not fit. While this is promising technology in dentistry, it also has the potential to benefit people outside of dental patients. Smart mouthguards may also be able to detect dehydration or even head trauma in years to come. Tooth-grinding is a big problem. It leads to even more dental problems and greater health issues. Even so, solutions like the smart mouthguard are still in the works. Current dental innovations are out there, and they're already addressing some of the most common tooth- and gum-related problems. For example, 3 million Americans have dental implants. By contrast, 15 million have crowns and bridges -- but implants are likely to overtake that number in some years, given that they last longer, they are more effective (with a success rate of up to 98%), look and feel more natural, fit better, do not damage the teeth around them, and are unlikely to slip out of place. New technology is changing the ways dentists treat dental patients and some of the most common problems. A new, smart mouthguard, for example, alerts dentists about the occurrence and severity of bruxism. How Does Drinking Affect Your Teeth? You may want to sit down. Current dental science confirms something that you may have suspected, but hoped wasn't true: Alcohol is pretty terrible for your teeth. Unfortunately, it is true about all kinds and varieties, too. With 89% of U.S. adults saying that a healthy smile creates a good first impression, you may want to know the facts about alcohol and its effects on your teeth. If you make a habit out of drinking red wine, you may want to know all that you can about dental care and the best whitening treatments. Its rich color makes it pretty obvious; red wine contains a lot of pigment, and this pigmentation can easily (and often does easily) stain your teeth. On top of that, red wine has acids and binding agents. Acids erode tooth enamel and those binding agents will help those stains stick onto your teeth. If you are a beer drinker, you may think you are in the clear. Well, that's just not true. Beer can also affect your dental health, and drinking responsibly can go a long way to improve your smile. Just like wine, beer can be pretty acidic, and if you take your time -- i.e., sit back and relax with a cold one -- its effects will be even worse. The overwhelming majority of Americans (82.5%) are pretty satisfied with the best whitening treatments (that is, in-office procedures). And that's something you're going to need to know, if you have a habit of downing mixed drinks. A lot of mixed drinks use mixers like cranberry juice, orange juice, and even grenadine. The bad news is that all of these things contain a ton of sugar, and that's not a good thing. "Imagine sucking on hard candy for several hours a day -- that's how bad this is for your teeth," Good Housekeeping writes. Sixty-nine percent of U.S. adults (ages 35 to 44) are already missing a tooth. Don't make matters worse. Limit your number of alcoholic beverages when you can for the sake of your teeth. While it is no secret that dentures and tooth replacement options have been around for a while, many people don't know just how long they have been around. In fact, a recent study sheds new light on the subject. British dentists and researchers have recently excavated teeth from soldiers who died in the Battle of Waterloo, and they found that many of them had dentures. What Did Early Dentures Look Like? Dentures common during this time -- in the late 18th and early 19th Centuries -- mostly consisted of "full upper and lower ivory dentures, held together by piano wire springs," BBC News reports. Unfortunately, dental patients fortunate enough to afford the ivory and piano wire fake teeth ran into a lot of problems. These early dental devices didn't last, and they fell out fairly regularly. Seeing this, dentists explored other options to pair patients up with a full mouth of teeth. In many cases, the solution was genuine, human teeth. Dentists combined ivory and real human teeth in early dentures. Some people donated teeth to the cause after their death or while they were still living; other dentists resorted to less savory practices, like grave robbing. If ivory and piano wire doesn't sound good to you -- or if you are creeped out by the prospect of eating and chewing with someone else's teeth -- don't worry. Dentistry has come an incredibly long way since then. Modern dentists must go by current dental science and healthcare standards. Plus, there are all kinds of new technologies that can help you improve your smile. Today, restorative dental care and replacement teeth are made out of acrylic, plastic, porcelain, and metal. They're also vastly more effective; dental implants, for instance, have a 98% success rate and can last decades (or more). A lot of people agree that it is important to improve your smile. Eighty-nine percent of Americans believe a healthy, white smile makes a good first impression and another 74% believe your smile can affect your career success. The good news is that today's dentures and implants are effective and long-lasting, and do not use ivory or someone else's teeth. This is a big one. When cracked and chipped teeth, missing teeth, or dated dentures are a reality in your day-to-day life, you can forget just how wonderful it was to enjoy some of your favorite foods whenever you wanted to. For example, it typically takes a full mouth of teeth to enjoy the barbecue classic corn on the cob. In some cases, dense, chewy foods, like steak, may be off the table. Patients with missing teeth or tooth sensitivity typically shy away from extreme temperatures, meaning that indulging in coffee, tea, and other hot beverages as well as extremely cold treats, like ice cream and Italian ice, is out of the question. With restorative dental care, dental patients can instantly whiten teeth and> enjoy their favorite foods again. For example, dental implants have a 98% success rate -- and that's wonderful news for the 60% of American adults (ages 35 to 44) missing teeth and missing out on some of their favorite treats. The benefits of attending to your smile do not stop there. In fact, the reasons that 3 million Americans currently have dental implants (and another 500,000 get them every year) can be pretty practical. For one, neglecting dental health can have devastating effects. Leaving a decaying tooth in your mouth can lead to gum infection and irritation and ultimately may even increase your risk of much more serious health conditions, like heart problems. Looking good is always a plus -- but dental restoration is often about so much more. Repairing and replacing teeth can help you enjoy your daily life more whether that means eating your favorite foods again or being proactive about your long-term health. Just about everyone -- 82.5% of dental patients, in fact -- notices a big difference after some of the best whitening treatments, like professional tooth bleaching. Of course, while it may be optimal to flash a healthy smile (and a dazzling white one at that), it isn't necessarily practical to visit the dentist for professional whitening treatments day in and day out. (Chances are, after all, that you do have time commitments like a job and certain restrictions, like a budget.) If you have to pick and choose, what are the best times to whiten teeth? So you've got an interview. Congratulations. Now, don't mess it up. According to The Under Cover Recruiter, most hiring managers make decisions about hiring within the first 90 seconds of your interview. As you can imagine, most of the clues interpreted in that short time frame are visual. That means it is essential for you to wear clean, wrinkle-free, and professional attire -- and, yes, for you to have a mouth full of presentable pearly whites. And don't ignore this one; remember, 74% of Americans agree that the appearance of your teeth can ultimately affect your career. It is pretty common to make some effort to improve your smile for an upcoming wedding, especially if you are in the bridal party or if it's your big day. While many wedding attendees and brides- and grooms-to-be nitpick about other details, a lot of people will forget about their teeth, and they matter. Yellow, stained teeth can easily ruin a good picture, and professional tooth bleaching is your friend. An overwhelming amount of people (89%, according to a Harris Interactive survey) believe that white teeth go a long way to make a good first impression. Remember to whiten teeth for important occasions, like that job interview or the wedding you're going to next month. Cosmetic Dentistry Is On the Rise In The U.K. When it comes to teeth, Brits don't have the best reputation. And the facts back that up to a point. For instance, "Just 3% of people in the UK have had teeth-whitening work, lagging behind the 14% in the US," BBC News reports. Moreover, three out of 10 British adults admit that they are unhappy with the appearance of their teeth. While just "6% of UK adults have no natural teeth," according to BBC News, that doesn't mean everyone has a full mouth of teeth. In fact, the number of Britons missing one or more teeth is relatively high. And that's where dental implants come in. Implants can improve your smile relatively quickly -- and in more than one way. First, implants replace missing teeth, improving the look of your smile. Second, they are highly effective -- with a success rate of about 98%! More than 3 million Americans currently have implants, which look and feel like real teeth, and the dental procedure is growing in popularity in the U.K. as well. Whitening can make an incredible difference -- even if your smile is imperfect in other ways. A nation-wide survey of U.S. dental patients shows that 82.5% notice a considerable difference after just one, in-office whitening treatment. A brighter, whiter smile can increase confidence, and it can be achieved during just one short (or a few short) appointments. Cosmetic dentistry is gaining ground in the U.S. -- and all over the world. In years to come, British adults are vastly more likely to invest in implants and professional whitening procedures.